Tristan Copley-Smith: It’s difficult not to appreciate the unfolding potential of the open source movement. The concept is beautifully simple: “When we share together, we are stronger.” It taps into a broad range of human sensibilities, from the practical, to the creative, abstract and even spiritual. This is a relatively young and apolitical movement, whose nature and intention are to collaborate. As a result, it attracts a diverse mix of developers, tinkerers and users eager to experiment with new ways to meet familiar challenges, from software to hardware, from data collection to government, from environmental activism to agriculture. If open source projects do not always make money, what propels them to continue growing? How does an open source project get started, and how does it evolve? What are some things to embrace and avoid when working on open source projects? The following noteworthy initiatives offer some instructive answers. The ambitious goal of this small organization is to develop fifty open source industrial machines that can be used to build a civilization from scratch. This includes everything from bread ovens to ploughs and 3D printers. In each case, the idea is to make useful tools out of cheap, accessible parts and share how to do so on the Internet. OSE is the brainchild of Marcin Jakubowski, whose original mission to start a sustainable farm was hindered by the fact that proprietary agricultural tools are expensive and difficult to repair. To help his farm and his wallet, Marcin began building his own tools like a tractor and a press to make compressed earth bricks useful for building. He documented his work rigorously on a blog and YouTube channel, catching the attention of other tinkerers who began contributing time and resources to support Marcin’s efforts. Marcin’s goals evolved quickly from developing a farm, to inventing an ecosystem of modular open source tools called the Global Village Construction Set. The project aims to supply anyone with designs and tutorials to build their own machines, thus enabling people to become more autonomous as farmers and less dependent on industrial producers. Adopting radical open principles, Marcin began documenting his work on a public wiki, including theories, detailed plans, and even financial information. A successful crowdfunding campaign and a supporter subscription system helped fund early development, but for the first few years, the project was often financially precarious. After building a productive following of hundreds, several successful prototypes, and a community living space onsite, OSE’s proof of concept seemed to be emerging. The project received several lucrative grants to continue development, and an invitation to speak at the celebrated TED conference. Although OSE was attracting a lot of attention, its infrastructure, both in terms of governance and the physical space at his farm in Maysville, Missouri, was not able to deal with the flow of people wanting to collaborate. Marcin’s brainchild needed other brains to grow, but living conditions were poor and he lacked basic skills in community management. After several fallouts with OSE collaborators, he became seen as unappreciative of the community and the organization evolved into a one-man show where credit for the work of many seemed to be going only to Marcin. This was obviously harmful to the collaborative environment, and led to an unhealthy, disempowering dynamic within the community. OSE needed structural stability, but with the team constantly changing, the project began to suffer. However, the vision and goals were compelling enough that money and people continued to pour in. Currently OSE seems to be stabilizing, but the lofty ambition of developing fifty Global Village Construction Set machines still seems far off. This is the story of a project that evolved organically, but perhaps too fast and without stable governance. With a focus on machines and not on people, the vision has suffered, but there remains great potential for its future, should these issues be resolved. Perhaps OSE’s most profound achievement is the influence it has had, which reaches far beyond the thirty acres of farmland in Missouri. In pioneering open agriculture and engineering with such ambition, new shoots are rising to adopt and spread these methods, as seen in robust collaborative projects such as Farm Hack. As recent graduates in 2011, architects Alastair Parvin and Nicholas Ierodiaconou found themselves hired by an innovative London design practice called Zero Zero Architecture. Both shared a passion for open design and were given the opportunity to experiment with their ideas. While exploring CNC [computer numerical control] fabrication, the two architects and their team used automated printer-like technology to design files that could be fabricated from plywood, which in turn allowed them to develop a construction system made of large, flat wooden pieces. These pieces could be assembled quickly and with unskilled labor to make the structural shell of a home. After publishing the Wikihouse construction system as open source files available to anyone, the project encouraged others to adapt its creations for different environments. They released a manifesto outlining the core principles of the organization, and invited people to sign up in their own individual chapters. This allowed a collaborative network to form without compromising anybody’s autonomy. The community, twenty chapters strong in 2015, is able to connect with the project without requiring management from Wikihouse and its small team. Wikihouse is now registering as a nonprofit foundation, using grants and pre-made kits to fund development. Open Desk is an online platform developed by Alastair and Nicolas for selling furniture that is designed and produced through open source principles. Although structured as a for-profit company, Open Desk is a collaborative community of designers, makers and buyers. Designers propose furniture designs that can be made using the same plywood fabrication technique used by Wikihouse. The proposed designs are voted upon by the community, and if demand is high, they are added to the official product line. Users have the choice to either download the files and make the product themselves (for a small fee) or buy a prefabricated product though the site. Orders are assigned to a fabrication facility local to the client, and revenues are split three ways between the designer, the manufacturer and Open Desk. The system is not entirely open source because use of the designs must be purchased (albeit only for a small amount) and they come with licenses that prohibit commercial reproduction of the products (although noncommercial, personal copying is allowed). This has been done in an effort to protect and incentivize Open Desk’s designer community. Open Desk and Wikihouse were intentionally founded on open principles in an effort to foster communities of designers and users. By changing the traditional model of design and manufacturing, they are allowing for global collaboration linked to local production, slowly inverting the standard “producer to consumer” production model to something more participatory, innovative and accessible. Public Lab is an organization that creates cheap, open source hardware and software tools to help citizens document and investigate environmental problems together. It began in 2005 when a group of loosely affiliated activists set off to Louisiana in the wake of the BP oil spill. There, they began documenting coastal oil pollution using low-tech kite mapping techniques. Over the past few years, the organization has grown into an international community whose members are working to understand their natural environments with greater scientific precision, and to hold to account those responsible for damaging them. Public Lab describes itself as a community supported by a nonprofit organ­ization. Through their store, they sell low-cost open source monitoring kits, which are legally considered donations. This allows them to secure foundation grants while also earning revenues from sales of their monitoring products. As an open source hardware developer, Public Lab provides guides on how anyone can make their tools at home for free. Public Lab is a fine example of how a dedicated community with useful open-source tools can populate a digital commons with valuable data. The website is heavily editable in the manner of a large public wiki/notebook hybrid so that everyone’s work is documented. The community is motivated by a curiosity or concern, and the Public Lab website gives people access to the tools and information they need to help investigate. The resulting discoveries can be documented, shared and used to lobby for political change. Jeff Warren, one of Public Lab’s cofounders, calls this “speaking the language of power.” Rather than petitioning for change through traditional means of protest, which may or may not be respected by authorities, the hard scientific data produced by the Public Labs community gives it powerful factual justifications to launch official investigations. Public Lab is a project which evolved organically from a group of activists who realized they were developing an important new form of community activism based on the power of open data, open hardware and open source software to influence government policymaking and enforcement. What motivates these projects to contribute to our commons? I think the answers vary a great deal. Open Source Ecology is driven by a desire for autonomy in farming. 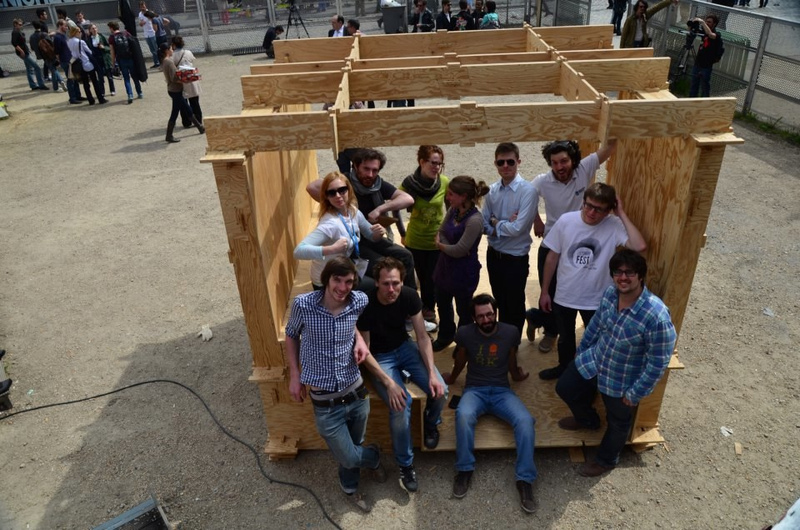 Wikihouse wants to lower barriers to custom design. Open Desk is expanding creative designs and localized production. Public Lab is pioneering new forms of effective, scientific activism.
. There is another salient force here: a recognition that business as usual often serves to separate us from what is really important and cannot create the scale or speed of change needed to address the multitude of challenges we face in the modern world. 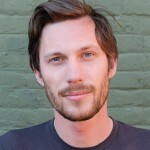 Tristan Copley-Smith (US) is a documentary filmmaker and communications expert aiming to empower positive disruptions in technology and society. He has worked with organizations like Wikileaks and Open Source Ecology to build supportive followings and communities, and is cofounder of the Open Source Beehives citizen science project. Why always writing ‘even’ spiritual?